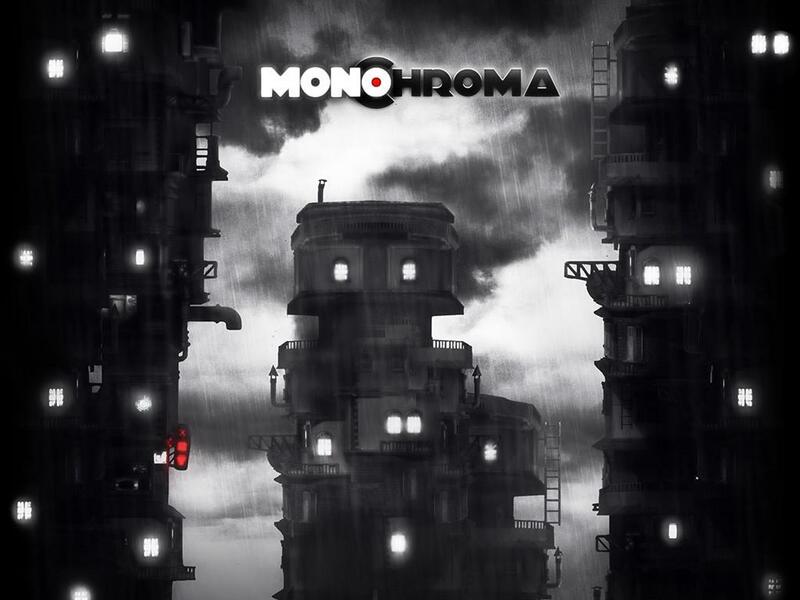 In August of last year, Turkish developer Nowhere Studios successfully Kickstarted their dystopian puzzle platformer, Monochroma. 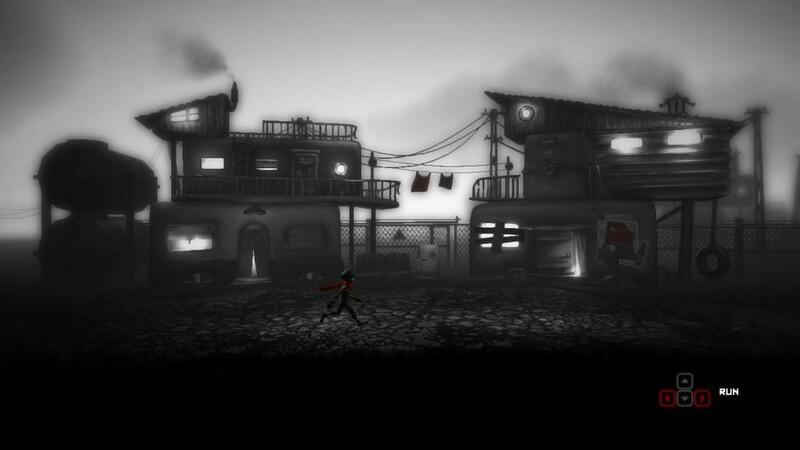 As you can probably guess from the title, the game takes place in a bleak world that's almost entirely black and white, save for a few swaths of red accents laced throughout the world. Nowhere Studios admits to the game being inspired by the recent Gezi Park protests that broke out in Turkey. Even though the game doesn't involve any mass rioting or looting, the story does have an allegorical feel to it—sort of like an interactive Brothers Grimm tale. In fact, the developers give a special thanks in the credits to the Brothers Grimm for existing, and "to all our brothers and sisters that resist against tyranny." 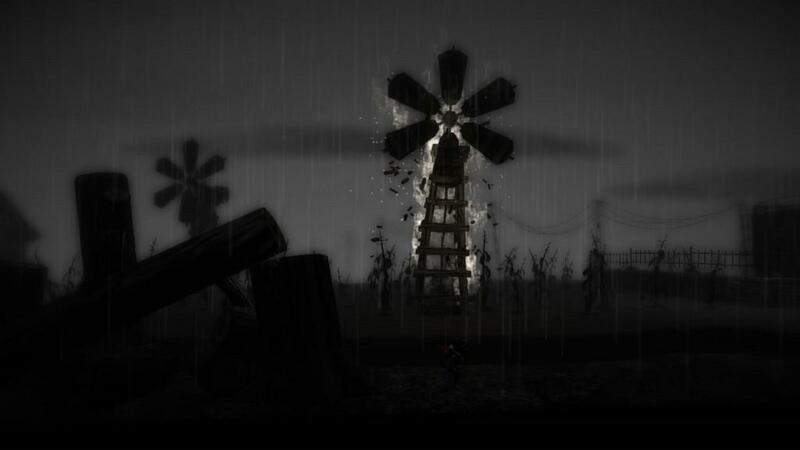 Nowhere focused on delivering a story that develops organically as the game progresses. In lieu of cutscenes or lengthy dialog, the story is presented through silent pantomime and the lively, dynamic environment. 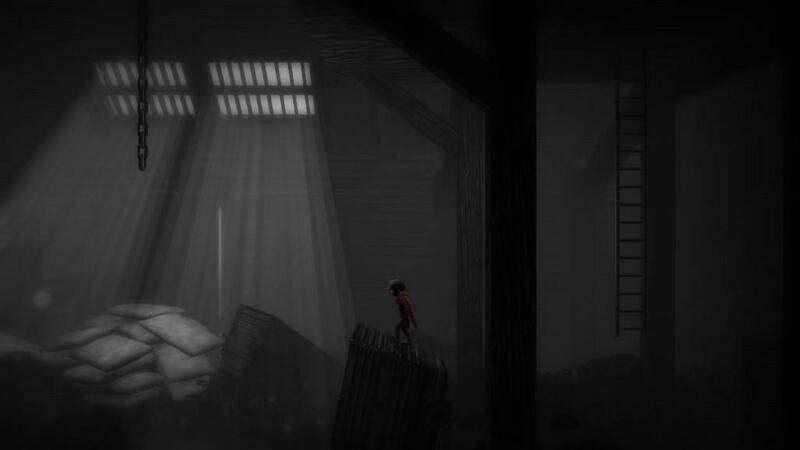 Monochroma is a story of two brothers' journey. You control the elder brother who must care for his injured, younger brother who hurts himself early on. You sling him over your back and try to get him help, but on the way, you uncover a dark secret about the megacorporation that has its fingers clutched around every aspect of the city (as megacorporations are wont to do). Now, your main concern is to protect your brother and yourself by staying one step ahead of the company's hired muscle. 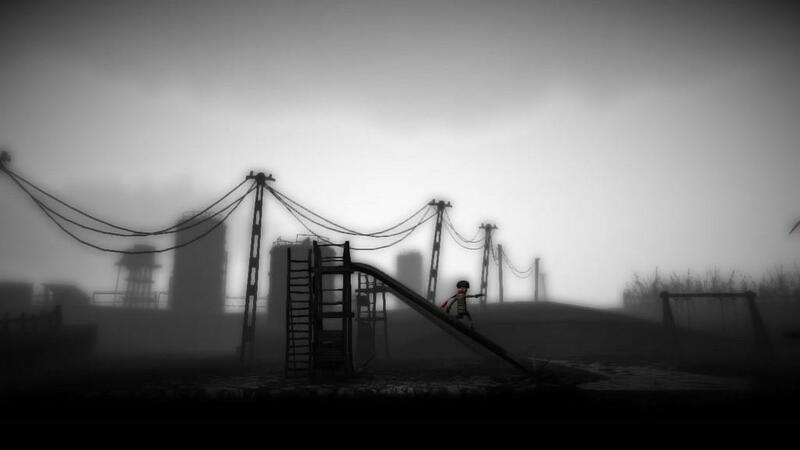 Monochroma is presented in 2.5D, where your character is always running along a single track in the foreground, but the background extends back into the Z-axis. While the color scheme paints a bleak world, the backgrounds are alive and immersive. Even though your character is limited to a two-dimensional track, you still get the sense that you're exploring a sprawling city because of the intricate and dynamic environment. Plus, the soundtrack by the Turkish folk rock band, Gevende, is heartbreakingly awesome. In addition to being an immersive piece of storytelling, the level design is satisfyingly complex. Especially the later levels that layer on top of themselves to give you a sense of that you're playing in a complete world, rather than just a linear stage. I remember one part in particular during the factory chapter where I looked down and saw an area I had already cleared and thought "Oh, wow, when I was here earlier, I didn't even know all this business was up here. Cool." The puzzles are an organic piece of the environment, and while none of them are tremendously difficult, there are a few that will give you pause. Or at least kill you a dozen times before you figure it out. As great as the tone, story and setting of Monochroma is, it's got its fair share of technical bugs and frustrating gameplay elements. The most noticeable problem I had with it, is the fact that it was prone to frame rate drops, especially when any fire or water mist were on screen. But even without the dropping frame rate, the gameplay felt sluggish and the controls were unweildy. The game wouldn't always register my input on time, so I ran straight off ledges over and over again, until I started jumping too early to compensate for the delay. The context-sensitive actions were also awkward—I couldn't just climb down a ladder, I had to drop off the ledge, then move to the ladder. There is no quick way to slide down a rope or ladder, you have to jump off to the side (which more often than not will get you killed). And anytime I wanted to pick up or set down my brother it was a three- or four-second commitment, which doesn't sound like a lot, but it can easily throw off any time-based puzzles. Speaking of the little brother, I don't think enough gameplay was devoted to forming an emotional attachment to the little guy. I didn't really care about him, because all he did was weigh me down and sit like a bump on a log while I solved all the puzzles. In fact, I think he only helped out a few times, and that was only because I needed the extra weight on my back. The story could have been that I was carrying a sack of potatoes to a starving family, and I would have been as emotionally invested in the potatoes as I was my little brother. The little touch of character he has is that he's afraid of the dark, so when you set him down, it has to be in a well-lit area. 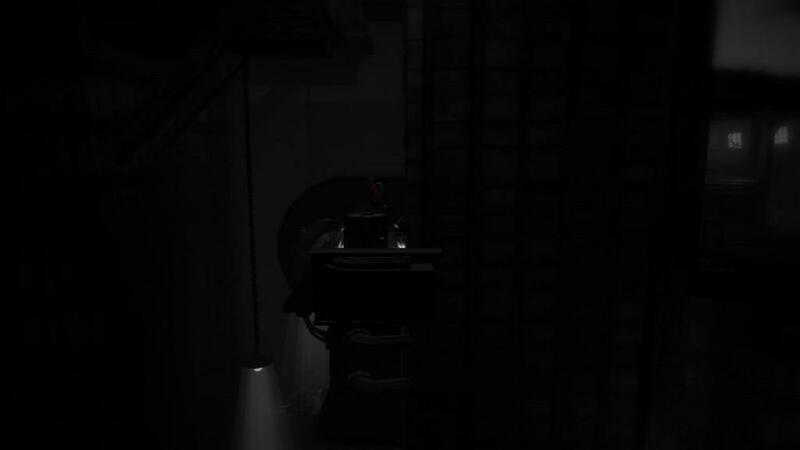 I think that's a cute idea; the only problem is that the well-lit areas almost always place him in imminent danger. After the fifteenth or sixteenth time he almost got killed because I set him under a lightbulb, I'd think some kind of operant conditioning would set in and give him a mortal fear of flourescent light. On the other hand, throughout the game there are these little box-shaped robots that help you solve puzzles and ask for nothing in return. They piggyback you up to a higher level, and you leave them behind—often to be destroyed by the environment so you can continue on your journey. Maybe it's an emotional hangover from playing Portal, but I had a soft spot for the little cubey fellas. Every time I had to leave them behind, it broke my heart a little bit. If my brother would have taken some sort of action other than sitting in the dirt and riding on my back, maybe I would have cared for him like I did the robots. But as it is, he feels like an unintentional metaphor for your family weighing you down and keeping you from reaching your goals. All that aside, Monochroma does still deliver a good allegory for the ramifications of consumer culture and the pitfall of placing a lot of power in the hands of one hungry person. If you're willing to overlook the technical errors and frustrations, you'll find that Monochroma employs some great storytelling devices to give you an emotional tale that thankfully avoids a saccharine Hollywood ending. 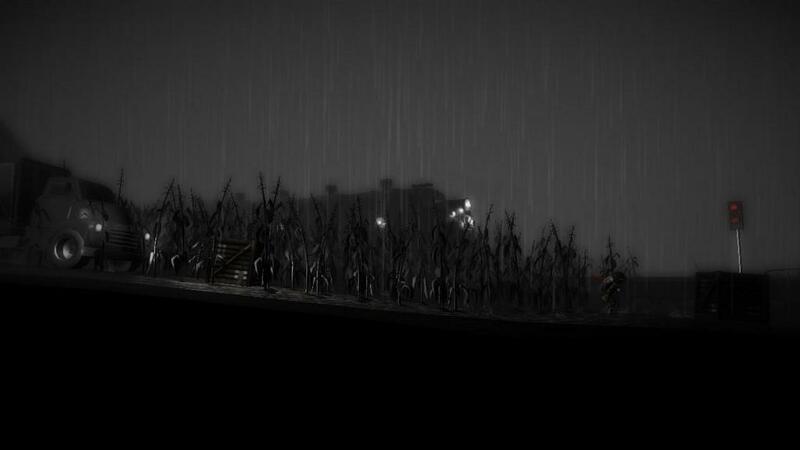 While obviously being influenced by games like Limbo, Monochroma has a flavor and story all its own. Monochroma is a good game at heart, but it's hidden under technical errors and gameplay flaws that gave me no end of frustration. If you're on the fence about buying this game, you should play the Demo they released with their Kickstarter project to see what you think. But at the very least, you should definitely check out the OST by Gevende.